The soft creamy hue of this knit sweater serves as the perfect backdrop to the intensity of the dinosaur's fierceness. 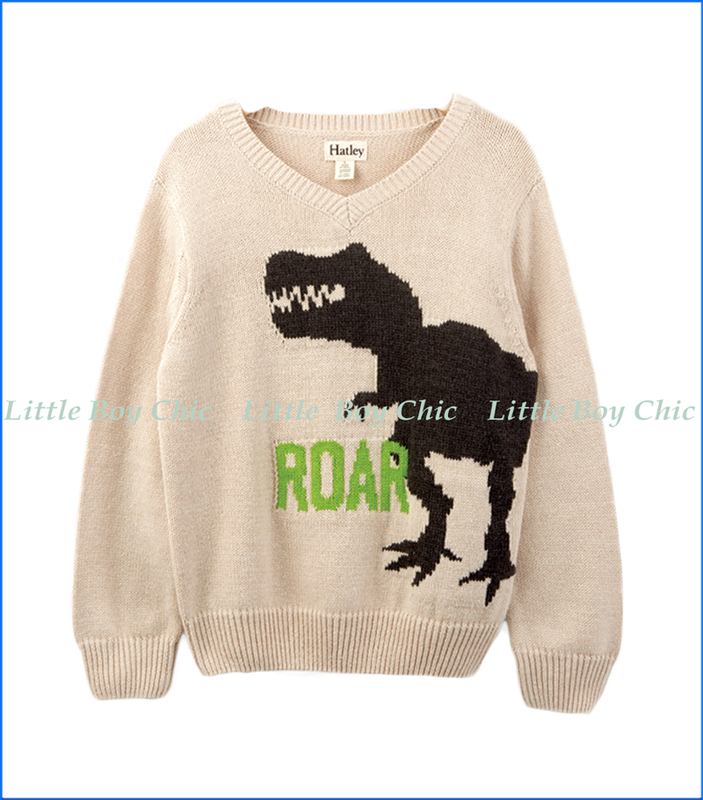 A Striking sweater by Hatley that we know the boys will love. V-neck pull over. Perfect for the holiday season.